Remote workers spend hours staring at screens. However, research shows that a lot of remote workers have chosen this way of life so they can travel and reconnect with nature. Turns out what we need is more nature, not less technology. Nature and Wellbeing in the Digital Age: How to feel better without logging off by Sue Thomas, provides insight about our obsession with nature and technology and how they work together to inspire our lives. Sue Thomas' most recent book is Nature and Wellbeing in the Digital Age (2017). Other titles include Technobiophilia: nature and cyberspace (2013), a study of nature metaphors in internet culture and language; the cyberspace memoir/travelogue Hello World: travels in virtuality (2004); the novels Correspondence (short-listed for the Arthur C. Clarke Award for Best Science Fiction Novel 1992, The James Tiptree Award, and the European Science Fiction Award) and Water (1994); an edited anthology Wild Women: Contemporary Short Stories By Women Celebrating Women (1994), and Creative Writing: A Handbook For Workshop Leaders (1995). She has written for a wide range of publications including The Guardian, Orion Magazine, Slate, and many others. She was born in Leicestershire, England, in 1951. Her first novel, Correspondence (1992), attracted wide attention in the UK, USA, and Europe. She founded the trAce Online Writing Centre at Nottingham Trent University in 1995 and became Professor of New Media at De Montfort University in 2005. Since 2013 she has been a Visiting Fellow at Bournemouth University and writes full-time. Working remotely is a great way to reduce job related stress. However, self management has its own drawbacks. Sometimes you may lack direction. Imagine a life where you wake everyday feeling absolutely wonderful. You gently stretch your arms and smile as you think about the day ahead. You feel relaxed, refreshed and full of energy. You open the window and take a deep breath. You are filled with gratitude for your life, your family and friends and the wonders of the natural world. 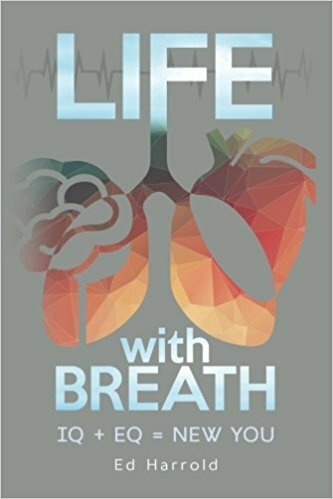 Life With Breath is a journey of discovering the mind-body relationship, linked through breath, specifically, yogic breathing. The reader discovers how this serves as a basis for reducing stress, improving health and well-being, building resilience, improving performance AND transforming negative habitual patterns of behavior. Whether you are working remotely or traveling on an adventure fueled journey, these cards are a great way to feed your appetite for adventure. Discover more serendipity, connection, and adventure in your life. These 30 cards, with themes of "spark", "connect," and "explore," encourage people to engage with the world and connect in unexpected and exciting ways — from asking a rock-star for a mantra, uncovering the secret to love, or simply making a stranger's day. Cara Thomas spent over 10 years inventing award-winning products for Fortune 100 companies. She found that adventure and playfulness led to breakthroughs. In need of that personally, she started Serenflipity as an experiment — and it ended up changing her life. It started with a one-way flight to Mumbai, and 90 challenges written by 90 friends, clients and strangers. Each day she flipped a card, followed its direction and blogged the tale. The results were surprising and serendipitous — and even included getting life-changing advice from Steven Tyler. Cara has launched Serenflipity to encourage that spirit of adventure into everyday life, anywhere in the world. Tagged: remote work, digital nomad, Adventure, Cards, Games, Serenflipity. Whether you are working from home or traveling the world, an audible membership is a great way to keep up with your professional development! Anywhere, anytime listening. Listen to your books wherever you are with our free app—at home, in the car, at the gym. Even if you switch devices, you'll never lose your place. World-renowned performances.Listen to A-list celebrities narrate their favorite stories, enjoy full-cast performances, discover Grammy® award-winning audiobooks, and more. Selection you'll love. Guaranteed. With the world's largest library of audiobooks, you're sure to find the perfect listen. If you don't love a book, swap it for another anytime-free.